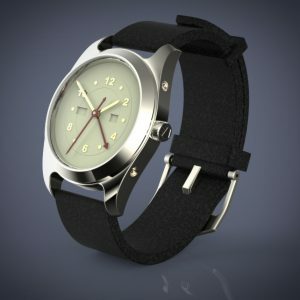 For some people, a standard watch will not suffice, they want something special to enjoy on their wrist. A “one-off”, a watch that no one else has. Well, i always say, impossible is nothing. What is however possible depends on your demands. Let me give you an example, i was asked to build a new titanium case for a 1930’s Movado Caliber 470.
this caliber has 2 pushers to set the month and the date, so i added two small pushers in the case, to enable date and month setting. A slim, classic looking design, with a separate fluted bezel and a crystal caseback to see the movement in operation. Do you also want a unique watch?, contact me.